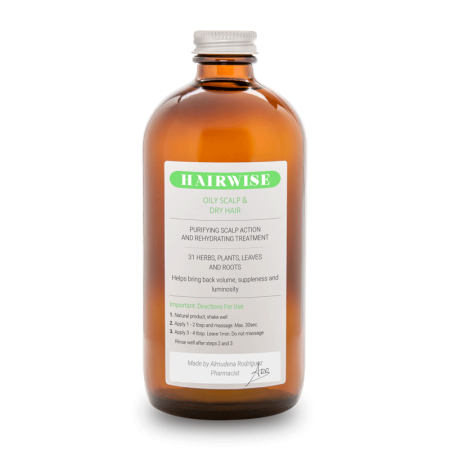 Oily Scalp & Dry Hair – Treatment | 490ml / 16.5 fl. oz. 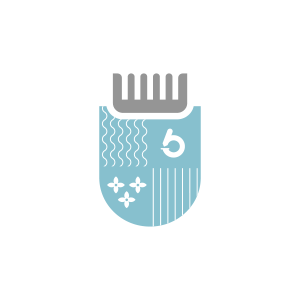 Purified Water(Aqua), Labium Album (flower), Lavandula officinalis (flower), Aloe barbadensis (leaves), Viscum Album (berries), Citrus Medica Limonum(lemon peel), Melaleuca Artenifolia(leaves), Aspalathus Linearis (Rooibos leaves), Decyl Glucoside(plant derived), Coco Betaine(coconut derived), Quaternium 80, Juniperus Communis(fruit), Pinus Montana(needle), Abies Alba(needle), Melaleuca Leucadendra(leaves), Melaleuca Viridiflora(leaves), Pimenta Acris(fruit), Salvia Officinalis(leaves), Coríandrum Sativum(fruit), Lavandula Latifolia(flower), Acorus Calamus(root), Carum Carvi(fruit), Anethum Graveolens(fruit), Lavandula Angustifolia(flower), Citrus Dulcis(orange peel), Citrus aurantium(bitter orange peel), Myristica Fragrans(seed), Pinus Pinaster(leaves), Eucalyptus Globulus(leaves), Mentha Viridis(leaves), Thuja Occidentalis(leaves), Rosmarinus Officinalis(leaves), Origanum Majorana,(leaves), Chamomilla Recutita(flower), Juníperus Virginiana(leaves), Tocopherol(vitamin E), Phenoxyethanol (preservative), Lemongrass (preservative from Cymbopogon Schoenanthus Extract), Honeysuckle (preservative from Lonicera Caprifolum). 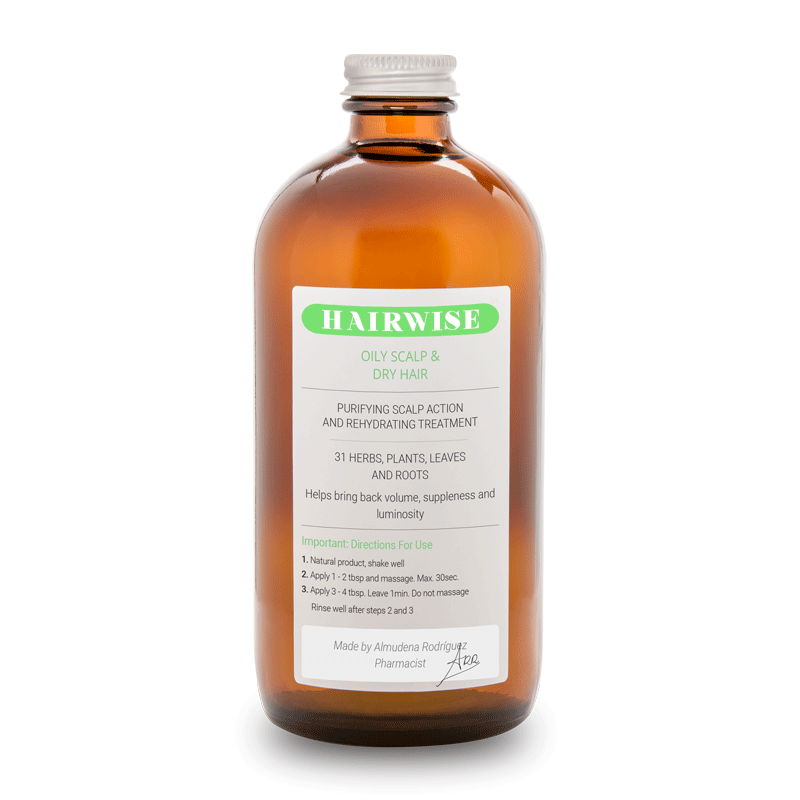 1 review for Oily Scalp & Dry Hair – Treatment | 490ml / 16.5 fl. oz. I use this treatment. It is very good. The hair became more alive.